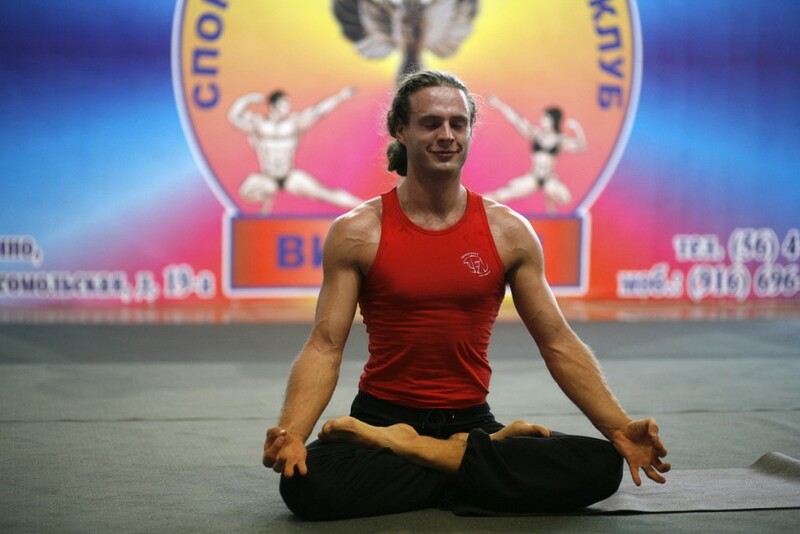 Yoga is a perfect compliment to weight training because it teaches you how to remain fully present in each moment and to stay calm and focused when faced with challenging situations. Yoga nourishes and revitalizes every cell in your body and restores depleted energy resources. Recover more quickly between workouts and experience renewed energy by adopting the yoga principle of breath and awareness into your weight training program. When you breathe consciously, slowly and deeply, you learn to focus your mind and stay present in your body bringing a deeper level of awareness to your inner self. Begin each weight training workout with yoga breathing by slowly breathing in and out and focusing your mind completely on your body and let all other distractions fade away. Inhale for a count of four, letting your stomach expand naturally and then open your rib cage, letting the air fill your lungs. Pause briefly. Slowly exhale for a count of four, closing the rib cage and expelling all the used air. Begin your weight training exercises and as you are working out, concentrate on maintaining the rhythm of your yoga breathing and focus your mind directly into the muscle being worked and feel the concentration. Become completely aware of how the muscle feels and visualize your muscle becoming lean and defined. Adding additional yoga principles into your weight training routine will enhance your ability as an athlete. Instead of resting between sets, choose a different yoga pose for each set, and hold each pose for eight to ten breathes. This will stretch and revitalize the muscle group just worked. Incorporating yoga into a weight training program consisting of regular cardiovascular activity offers a complete and well balanced program for total fitness and health of the body and mind. Simply put, combining yoga and weight training together is excellent for your physical and psychological well being and will increase your physical strength, flexibility, and mental clarity.